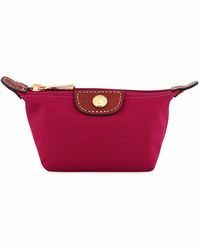 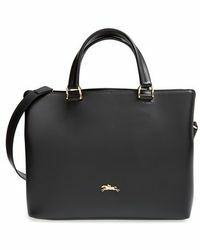 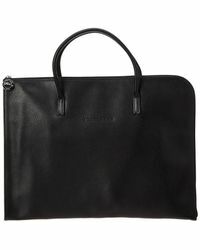 Founded in 1948 by Jean Cassegrain, Longchamp is a French accessories label known for its sophisticated aesthetic. 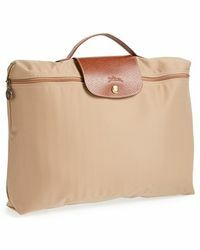 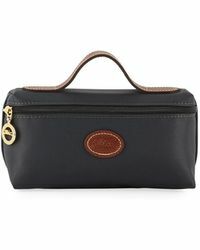 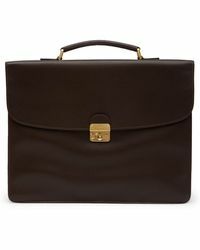 Starting out by creating leather coverings for smoking paraphernalia, in 1955 Longchamp began creating small leather goods. 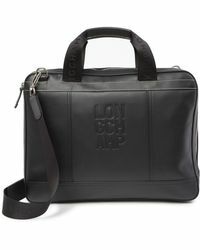 It wasn't long after that the brand began to create travel bags and soon become recognized around the world for its 'Le Pilage' line; a line of foldable bags made of vinyl with a leather handle and trim. 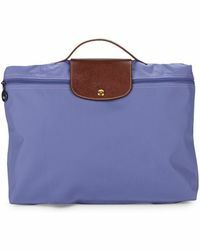 Longchamp's collection of briefcases include the classic 'Le Pilage' range of briefcases and document holders created in durable materials and timeless shapes.